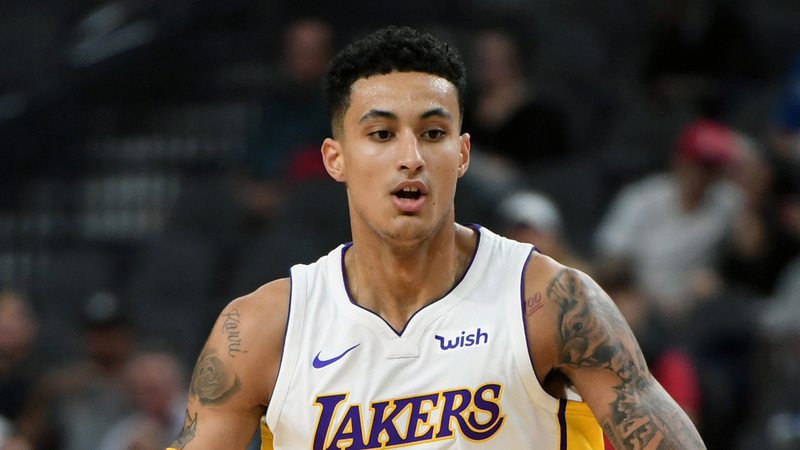 Kyle Kuzma could see time at center this season. The Lakers have been using Kuzma at the five in a small-ball lineup during their first few practices of the year, according to a report from ESPN. The 6-9 second-year player said he has little experience at the position. Los Angeles coach Luke Walton said Kuzma “absolutely” has the ability to play center. Moving up to the five could allow Kuzma to receive more minutes on the new-look Lakers. LeBron James announced he was leaving the Cavaliers and signed a four-year, $154 million contract with the Lakers in early July. They also re-signed Kentavious Caldwell-Pope and inked Lance Stephenson, JaVale McGee, Rajon Rondo as well as Michael Beasley to contracts in the offseason. James said he has been impressed with Kuzma in training camp. Kuzma averaged 16.1 points and 6.3 rebounds in 77 games as a rookie in 2017-18.